NWS indicates that there is a potential for rapidly developing heavy showers and isolated thunderstorms over SB Co through 5pm tonight. Residents near creeks and streams below burn areas should maintain awareness of their surroundings and take action to stay safe if necessary. OEM continues to monitor this event. Santa Barbara County & the National Weather Service (NWS) continue to monitor the storm forecast to arrive this Wednesday, November 28, 2018. 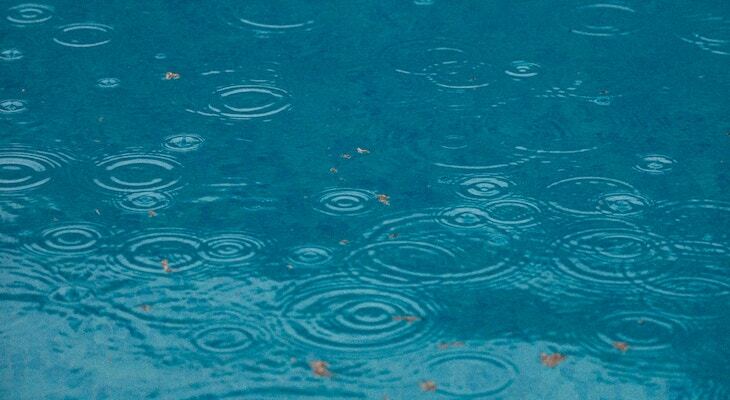 The storm is predicted to yield up to 2 inches of total rainfall, but STAY BENEATH the rainfall intensities required to trigger debris flows in the burn areas of Santa Barbara County. We will continue to monitor the weather and will advise the public if the situation changes. For information about storm readiness, visit readysbc.org and be sure to tell your friends to sign up for these alerts! Santa Barbara County & the National Weather Service (NWS) are monitoring a storm forecast to arrive this Wednesday, November 28, 2018. The storm is predicted to be worse than last week’s storm but at this time, the NWS forecast does NOT indicate rainfall intensities likely to cause debris flows in & around recent burn areas in SB County. We will continue to monitor the weather & will advise the public if the situation changes. Thank you. Come on rain keep it coming! Creek roaring by our house, quite a squall! Stay safe--wind was pretty wild there for a while, keep an eye on trees. Will we get any more squalls tonight? That one was rugged with sideways rain. Glad to see a bit of sunshine. Celebration for the rain, though! Hoping everyone stays safe, especially Montecito and Carpinteria. Please, no more debris flows. Ever. Just a whiff of breeze and sunshine beneath broken clouds 101@154 right now. Quite a change from sideways heavy rain here half an hour ago. Power out in areas of S.B. SCE reporting ~500 customers on San Antonio Rd. ; ~3k around Lauro Cyn Reservoir; 25 around Pueblo & Chapala downtown; ~37 around Ortega Ridge Rd. near Summerland. Keyt is on now...updates on the debris basins. HEAVY wind and rain, loud thunder, Hollister/Puente. I'd fallen asleep reading... woken by thunder about 2:15. I'm just east of La Cumbre. Glad I got to watch it. Same squall just passed 154@101 moving East. Private weather stations are reporting up to 1/3" from that squall. Sure seemed like more when it went by here! Indeed, even if rainfall does not reach threshold of intensity to cause a debris flow, this rain is going to make a difficult mess (imagine PCH in the Woolsey fire burn scar!) The agency's name IS *Emergency* Management... Fire, police, sheriff and CHP are all out there working. My fingers are crossed for no boulders or street-closing mud. With what happened earlier this year some anxiety and fear is understandable. The best defense is knowledge of the storm. So far there is no indication of concentrated rainfall in our area. This is a storm to enjoy as the earth gets replenished with much needed moisture. I always check the Doppler radar out of Vandenberg: https://radar.weather.gov/radar.php?rid=vbx&product=NCR&overlay=11101111&loop=no I also check the 8km IR image of the pacific to what’s coming our way several hours out: https://www.ssd.noaa.gov/goes/west/weus/ft.jpg Things look pretty tame for this storm. Looks like I worded it ambivalently. I wasn't being callous or suggesting that living "downstream" from an area beneath one burned out recently wasn't a legitimate fear. I was saying that constant worry is no way to live and it's destructive with or without it coming true so do whatever you need to to get out of that state of mind. We need rain. Rain happens or doesn't. If you fear for your life, leave for the duration. If that fear is disrupting your life long-term,move someplace you consider safer even if you have to walk. T is no place that doesn't have natural disaster some time or other, but living in fear is toxic. I feel safe near you LUVADUCK Mind if I sleep in your yard? Easy to say not to have fear. Not relevant to people who were adversely affected by the January debris storm. Why shouldn't they be scared? Too bad more didn't "fear" the flash flood warning that caused the debris flow. Could have saved lives. Yes, probably. At least be ready. Life-changing for survivors in vulnerable areas, and of course not just SB. Northern CA too. PITMIX - That heavy rainfall was accurately predicted. They recommended that people evacuate. But that order was not mandatory and, of course, they used the wrong map. But the intense rainfall was predicted. I'm not exactly afraid but I also feel a tinge of anxiety when they talk about storms now. The disruption in my life was minimal but not so for many other people. They didn't predict the 15 mins of intense rain that led to all of the destruction last year, so how much trust can we put in their predictions now? Definitely something to think about. If you live below a burn area maybe you have to leave every time they predict any kind of decent storm? Better OEM thank you. Still, this storm has the potential to generate some high intensity rainfall when the front comes through Thur AM - stay vigilant people! I think there is only fear if you live in the debris flow areas. They have a right to "fear". Exactly what is a "workable strategy" going forward? Maybe scrap the fear and just see what happens. A-1543507822: Your comment is 100% accurate. 19 people are dead because they lived in OEM's "voluntary evacuation zone". Those people SHOULD have been given mandatory orders to leave. Instead, OEM stupidly made the evacuation demarcation line at Highway 192, which had NOTHING to do with the path of the debris flow. The longer the County refuses to admit that horrible mistake, the longer the community will distrust anything them. Because 23 people died (some who may have been saved if the County had used a flood map rather than a fire map for evacuations), the County will be “overreacting” for the foreseeable future. Flicka, my feeling is that being fearful of every storm is not an attitude that is going to be helpful, healthy, useful long term--that's what I meant by workable. I'm not disregarding the trauma people are still experiencing. But the fact is, we need rain, lots of rain. May it come steadily, not in giant bursts. Responding to every storm as if it was a potential disaster is not a healthy way to live our lives. With Cachuma at only 30.4% capacity, we need lots more "worse" storms. NWS Los Angeles@NWSLosAngeles. "Preliminary rain totals are generally expected to range between 0.50 and 2.00 inches across SW Calif for Wed/Thu storm system. Local amounts up to 3.00 inches are possible in the foothills of northwest SLO county. " You beat me to it MACPU - amazing that an advisory agency like the OEM would use language as vague as "worse". How about wetter, more rain, or perhaps substantially more rain? Yeah, wow! We need rain. Fear of every strorm is not a workable strategy going forward.